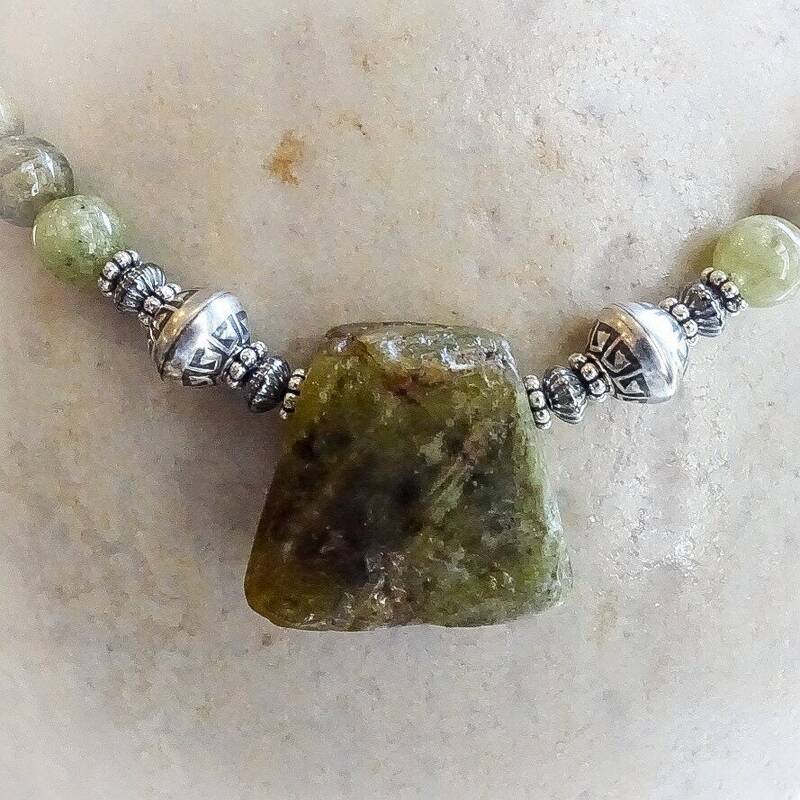 Our Earthbound necklace is made of a pastoral strand of grossular garnet, oxidized sterling silver beads, and a rustic trapezoidal green garnet slab pendant. 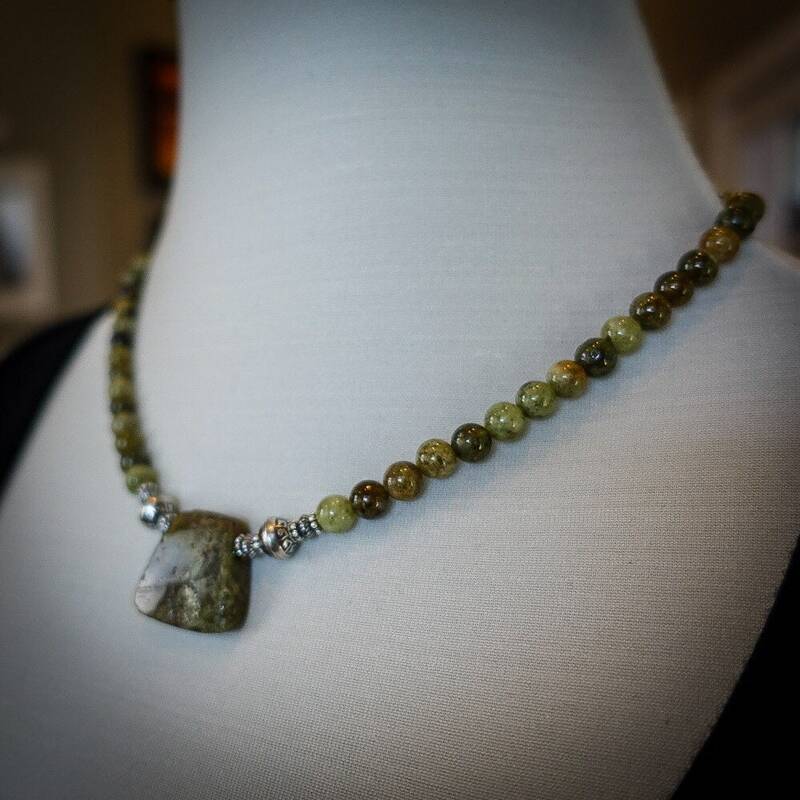 This necklace hangs approximately 18 inches in length with the pendant adding an additional .5 inch. 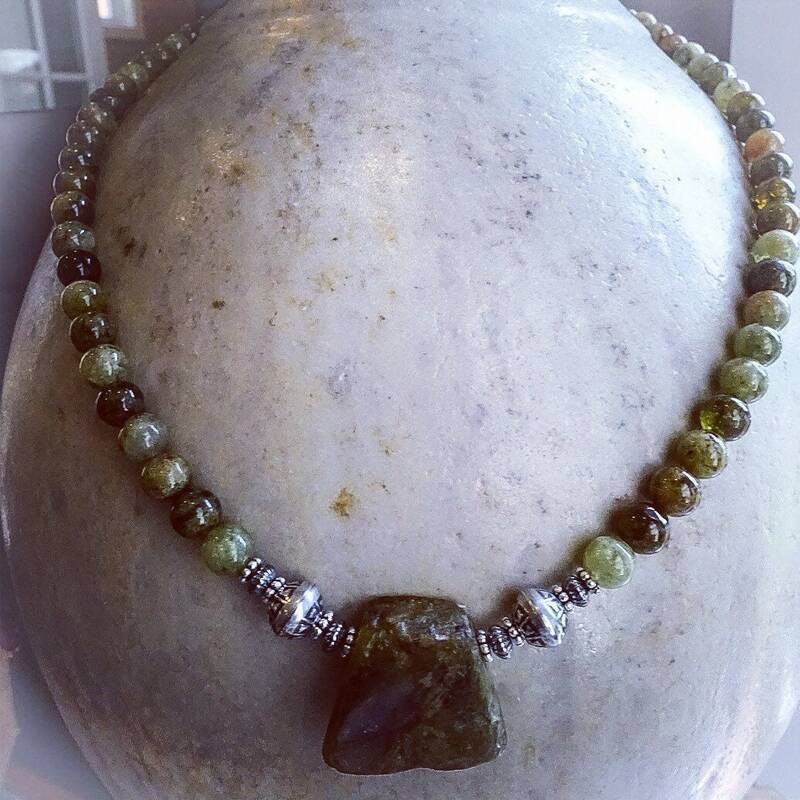 It is finished with oxidized sterling beads, a sterling lobster clasp and a two in sterling extended chain for additional length if desired. This piece is one of a kind. 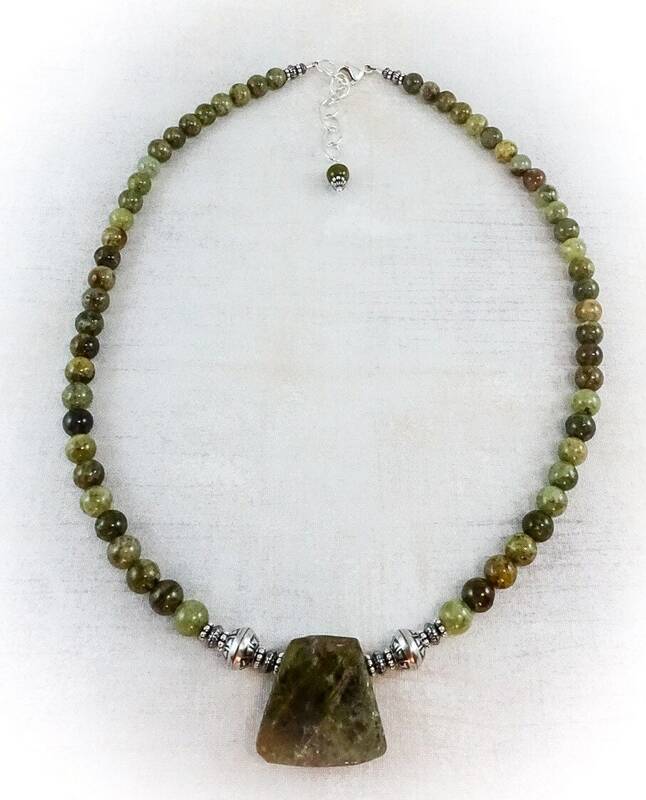 Green garnet is said to possess the power of growth and regeneration. 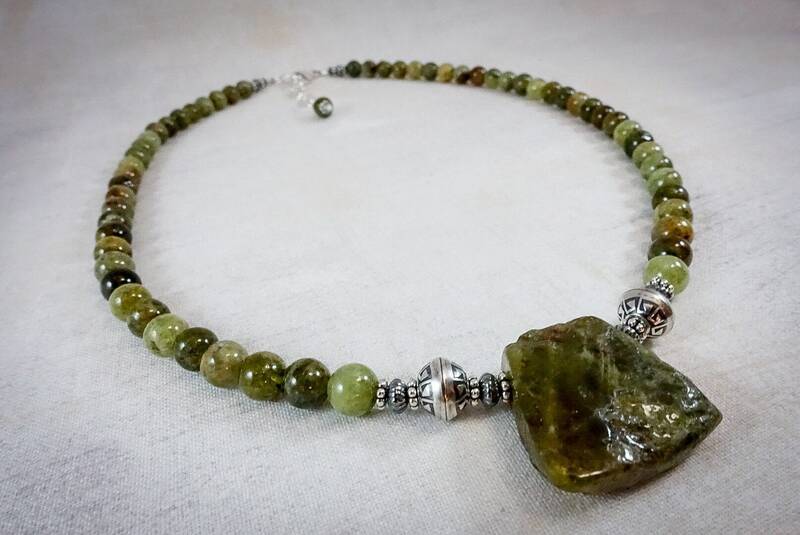 The beautiful green color is a symbol of Mother Earth. It is nurturing and full of hope. It offers energy, clarity, motivation, and positivity.